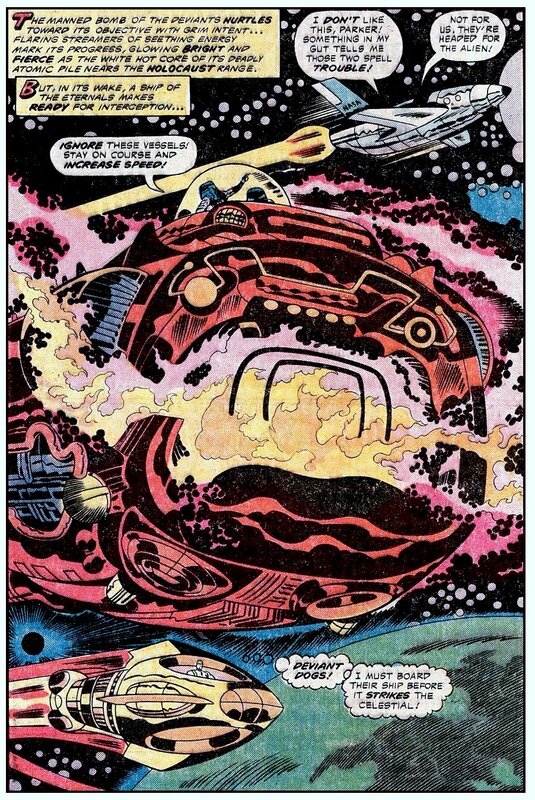 Of course, the evil Druig won’t listen to this advice, and it’s up to our hero to prevent a cosmic holocaust by journeying to… The Pyramid. 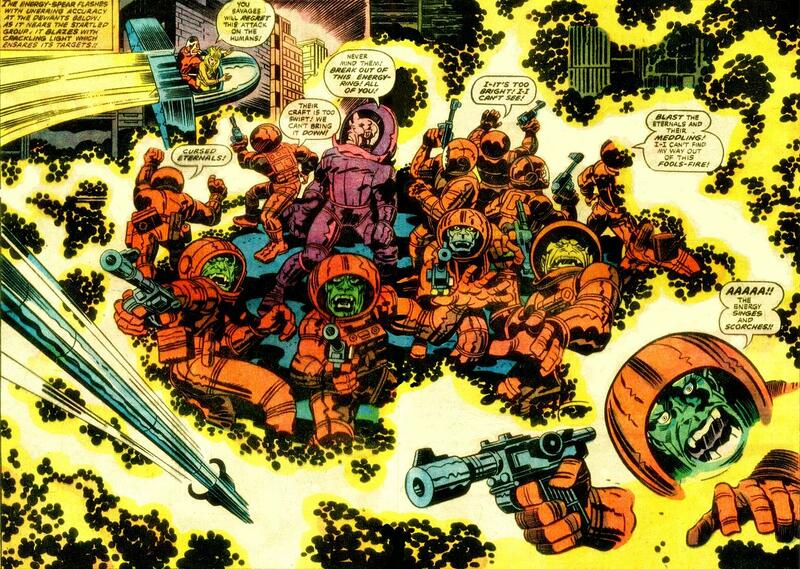 Here is the last issue of Jack Kirby‘s saga of alien beings and human evolution, and it goes out with a bang. 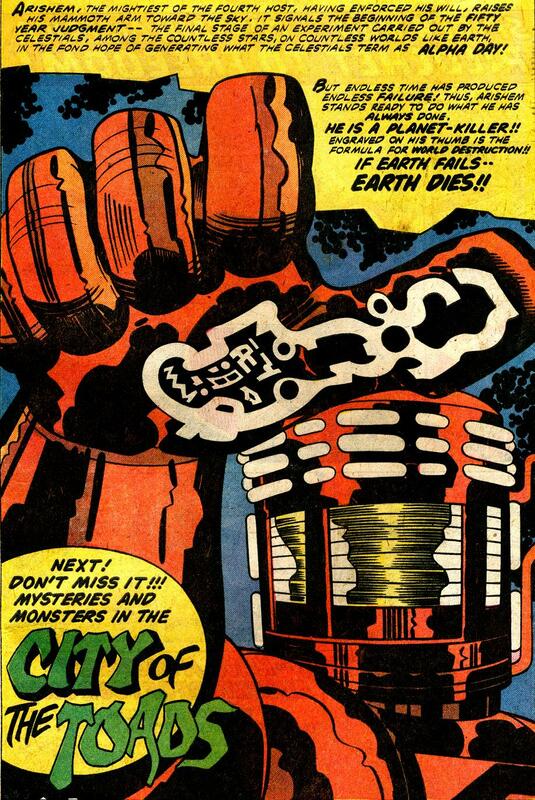 Unfortunately, it left so much untold about the Celestials, and what they would decide about humanity’s future. 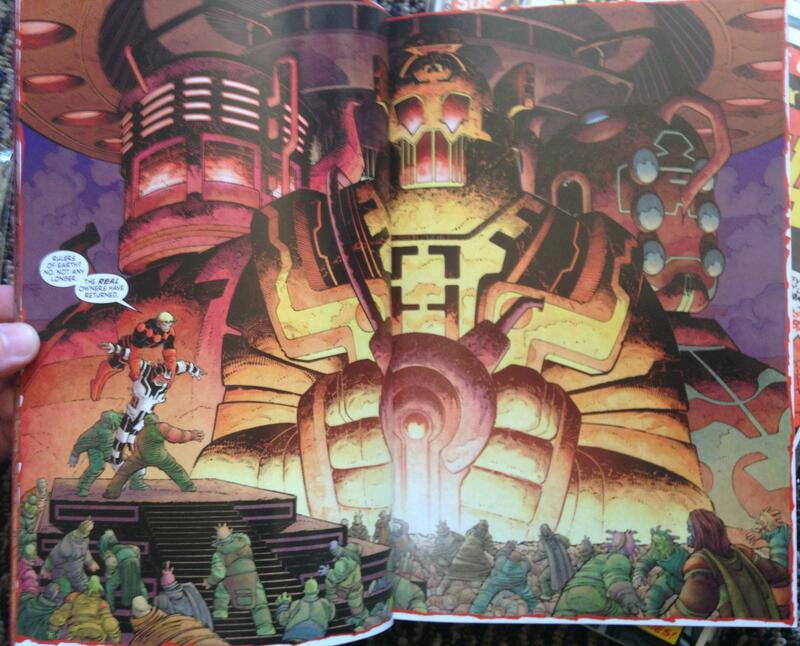 After a massive build up of potential, The Eternals just kind of… stopped. 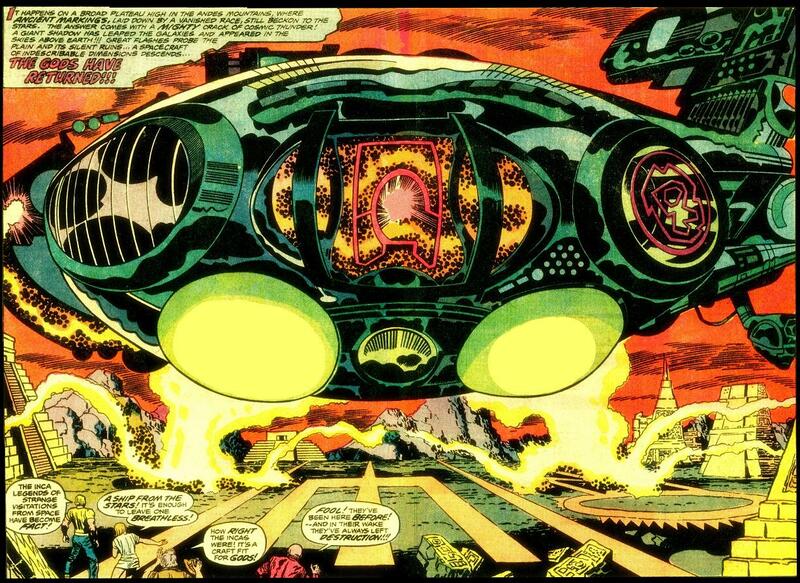 We can only imagine what else King Kirby had in store for us! 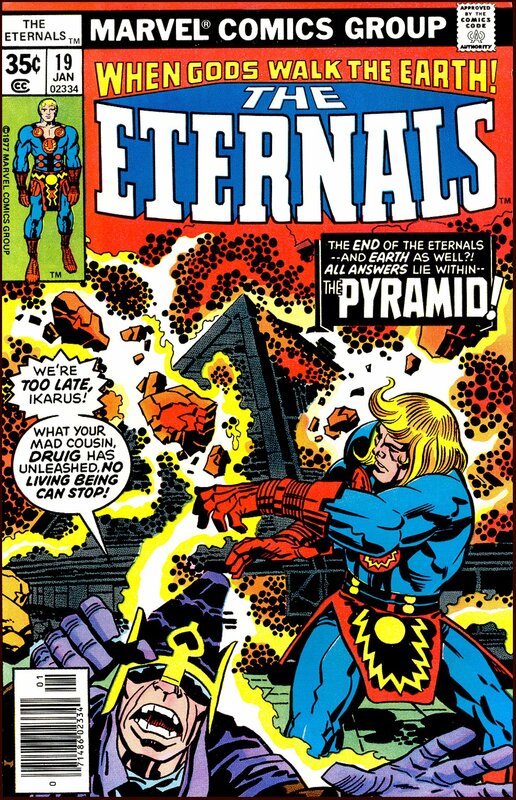 Reprinted in the Eternals by Jack Kirby TPB #2; Marvel, 2008. Let All that is Ours Become the Uni-Mind! 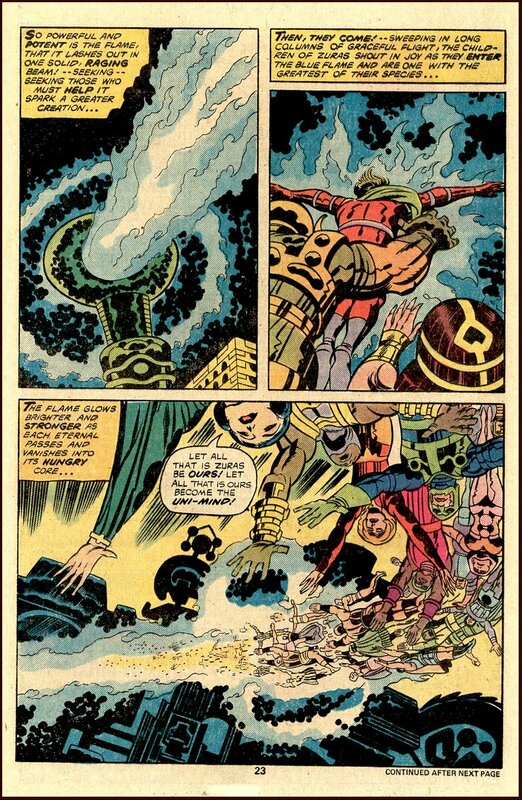 This seven-page sequence from The Eternals #12 remains one of the transcendent highlights of Jack Kirby‘s cosmic series. 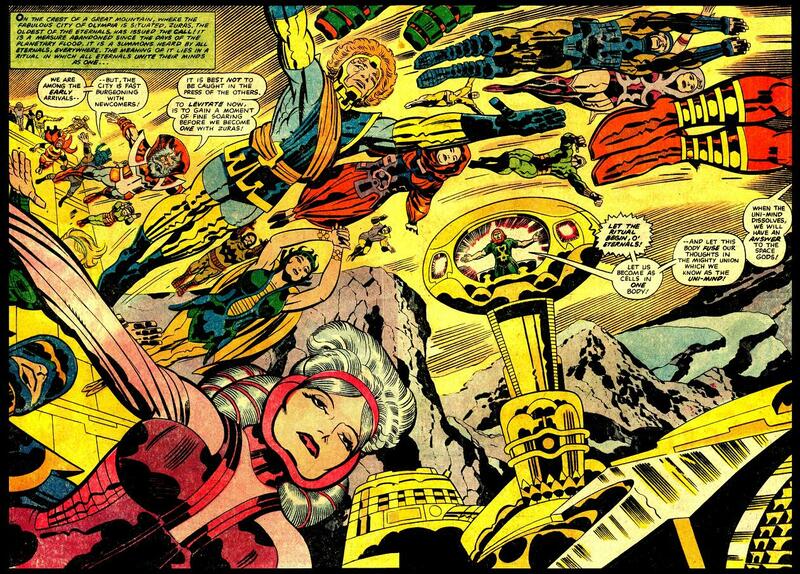 All the Eternals – and a few of their human buddies – fly through the sky to join as one super-intelligent entity called… The Uni-Mind! Mountainous! Man-Like! Explosive to the Senses! 1976 would have been much more awesome if giant Celestial beings really did pay us a vist to determine the future of our evolution. Maybe they will some day! 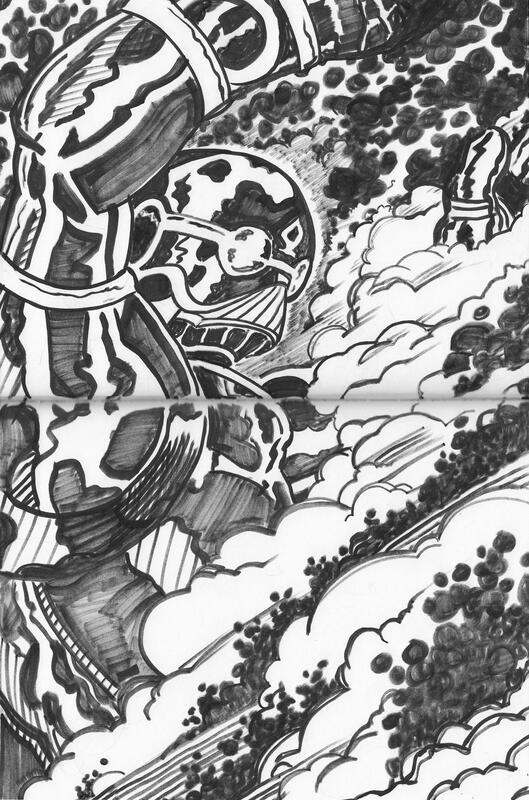 While you await your ultra-cosmic destiny, dig these splash pages from the inspired pen of Jack Kirby. 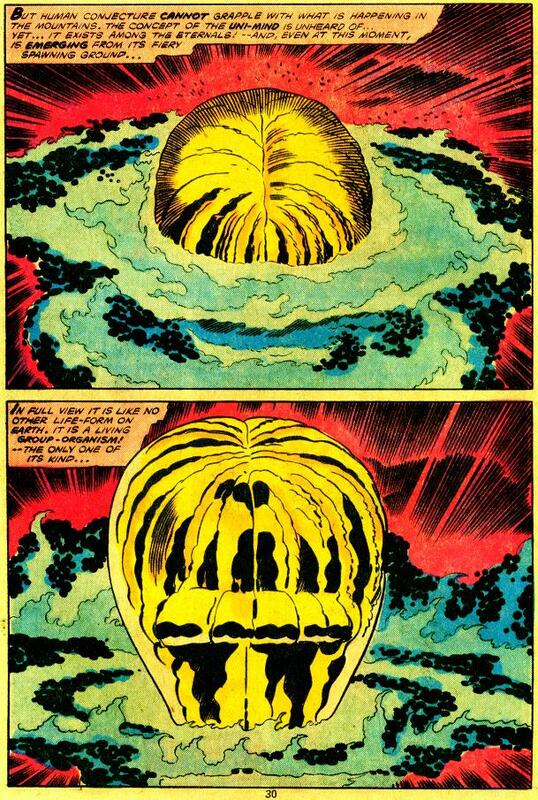 – From The Eternals; Marvel, 1976. 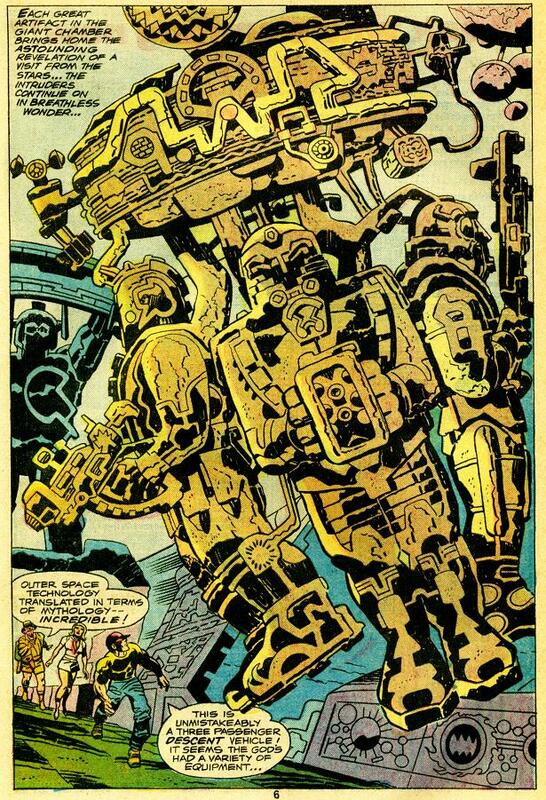 Reprinted in the Eternals by Jack Kirby TPB; Marvel, 2008. 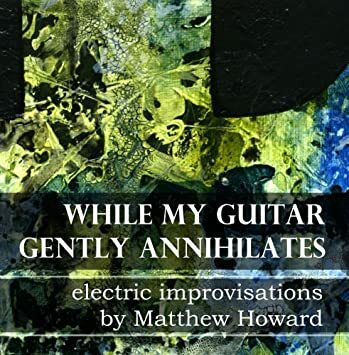 Human Conjecture Cannot Grapple with What Is Happening! 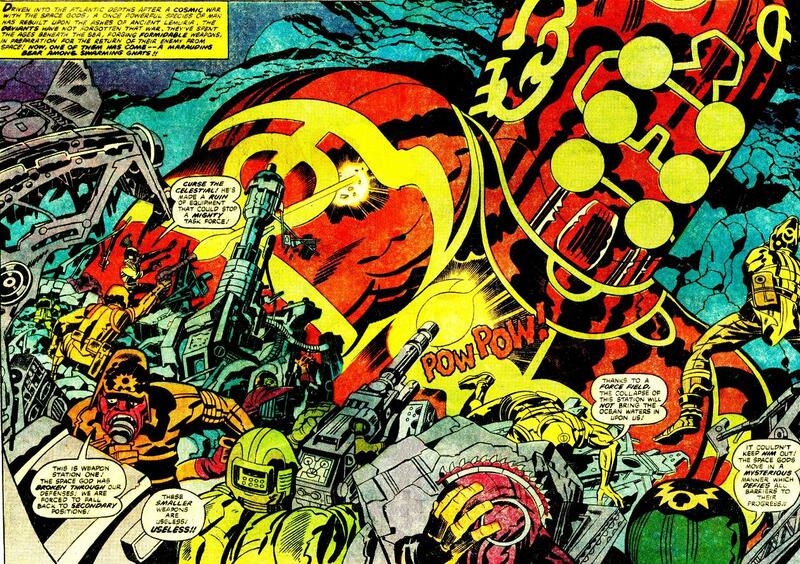 Feast your eyes on these beautiful splash panels from The Eternals by Jack Kirby. 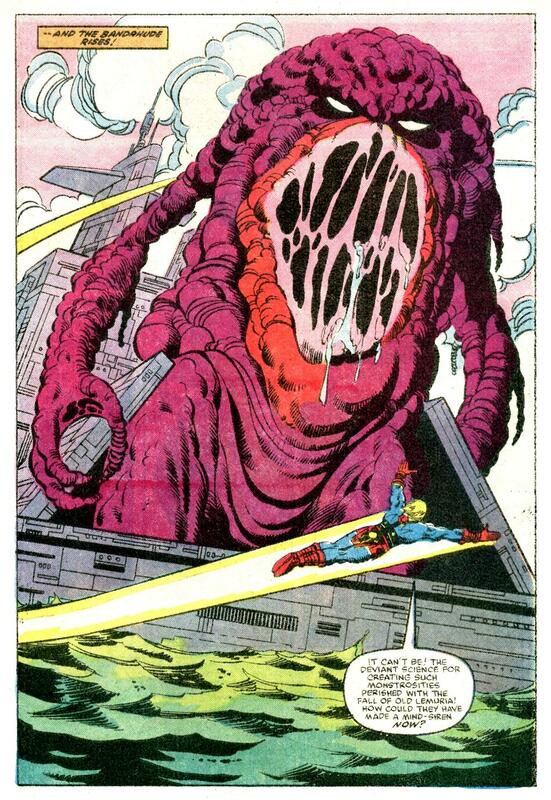 -from The Eternals, Marvel Comics, 1976. AAAAA! The Energy Singes And Scorches! 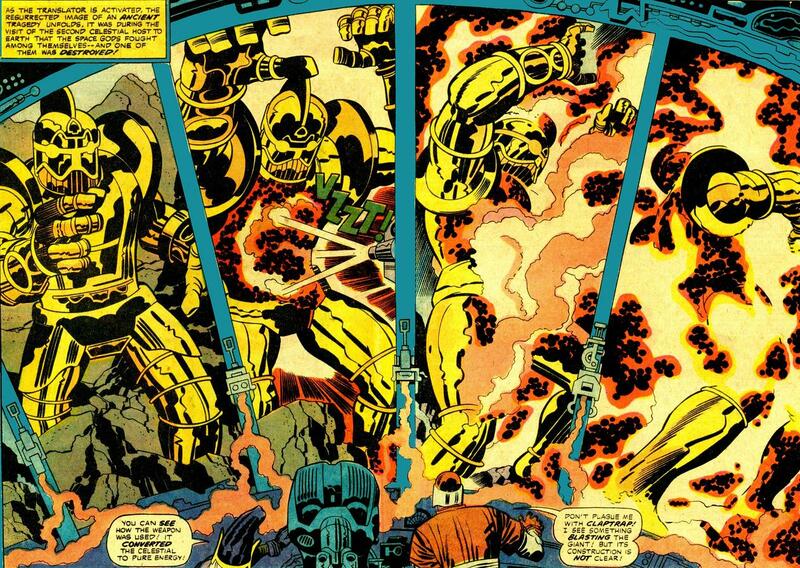 Feast your eyes on these beautiful double splash panels from The Eternals by Jack Kirby. 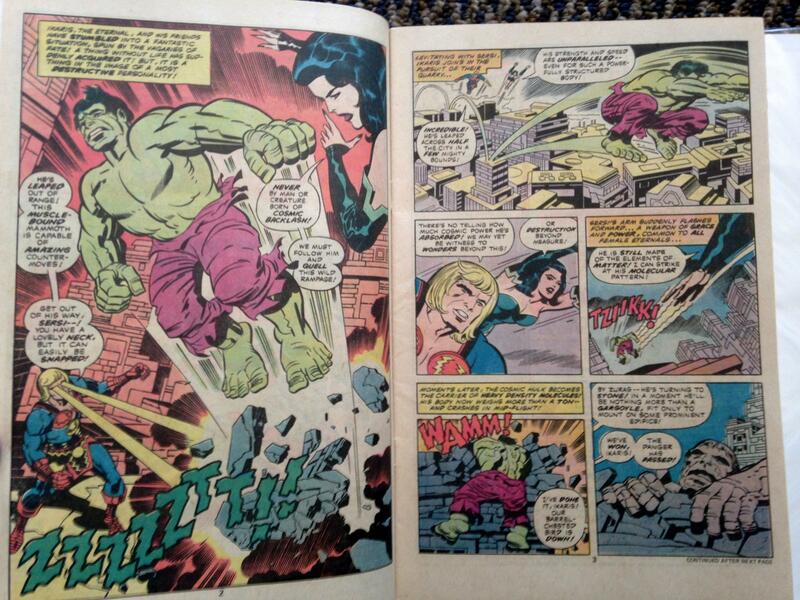 – digitally reconstructed two-page spreads from The Eternals, Marvel Comics, 1976. 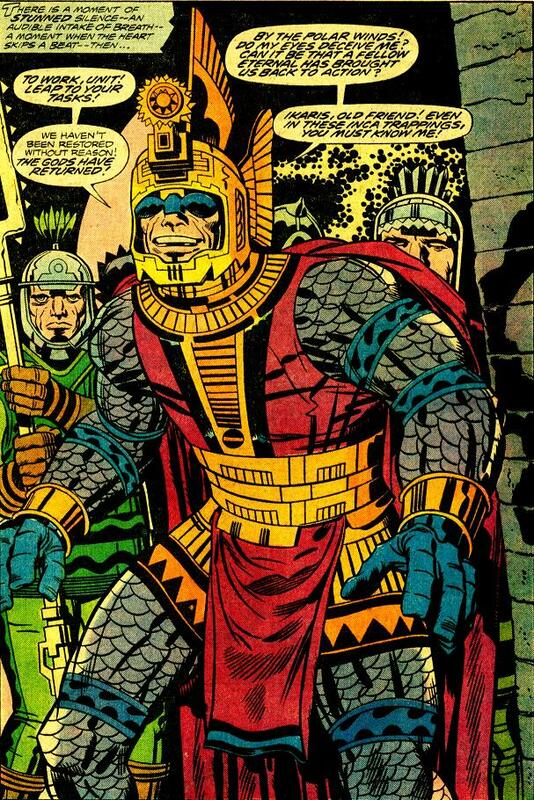 You might also enjoy our growing Jack Kirby Gallery featuring OMAC, Black Panther, Captain America, Galactus, and much more.